India’s biggest airline by market share Interglobe Aviation-run IndiGo has reported a 96.6% decline in net profit to Rs 27.8 crore for the period April-June 18, mainly impacted by adverse foreign exchange, high fuel costs and a competitive fare environment. The revenue from operations came in at Rs 6,512 crore for the quarter ended June 2018, implying an increase of 13 .2% compared to the same period last year. The results assume significance even as Aditya Ghosh, the president of IndiGo has decided to step down from the firm in April this year. We take a closer look at the results, and bring you 7 key figures in a nutshell. IndiGo has reported a 96.6% decline in net profit to Rs 27.8 crore. “Profitability was majorly impacted by the adverse impact of foreign exchange, high fuel prices and the competitive fare environment. 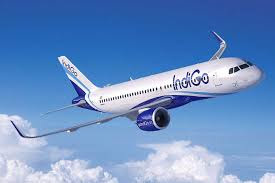 Basic Earnings per share was INR 0.72 for the quarter ended June 2018,” IndiGo said in the release. Revenue from Operations came in at Rs 6,512 crore for the April-June period, implying an increase of 13.2%. Profit Before Tax ofINR 313 million and Profit After Tax ofINR 278 million for the quarter ended June 2018. IndiGo reported a EBITDAR of Rs 1,130.1 crore, with EBITDAR margin at 34.1% for the quarter ended June 2018. 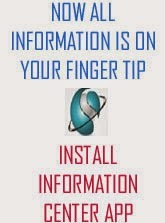 These figures compare with EBITDAR of INR 1,961.8 crore with EBITDAR margin of 34.1 % for the same period last year. 4) IndiGo’s total debt for the quarter ended June-18 stood at Rs 2,521.9 crore. “The entire debt for IndiGo is aircraft related. lndiGo does not have any working capital debt,” the airline said. IndiGo has a fleet of 169 aircraft including 124 A320ceos, 36 A320neos and 9 ATRs; a net increase of 10 aircraft during the quarter. Notably, the airline operated a peak of 1,157 daily flights including international operations during the quarter.